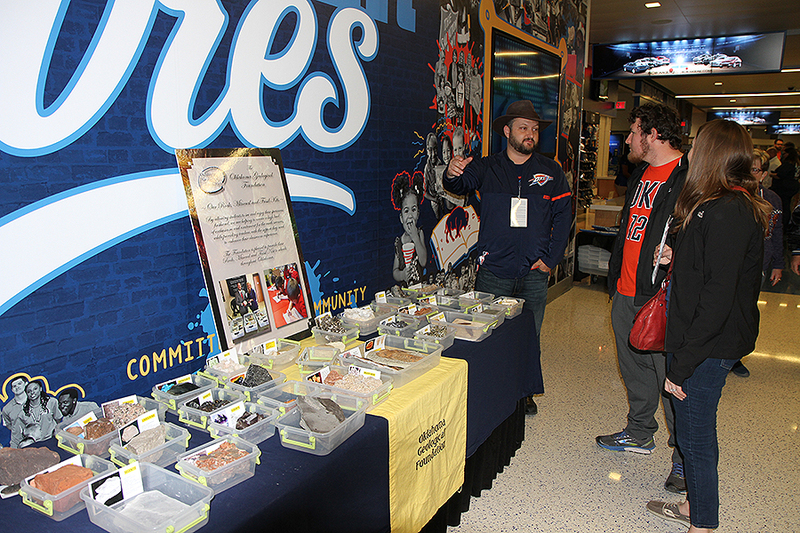 Last Sunday, Devin went out to the Oklahoma City Thunder game to show off some specimens from the Oklahoma Geological Foundation's Rock, Mineral and Fossil kit. The rocks were a hit with Thunder fans who got an up close look at the museum quality pieces. 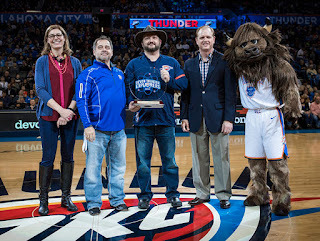 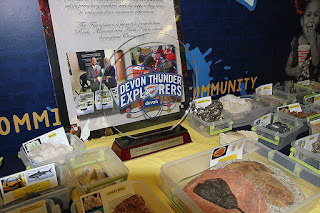 The Foundation was invited out to the game to receive the Devon Thunder Explorers Award which celebrates organizations that encourage outreach and education on STEM topics. 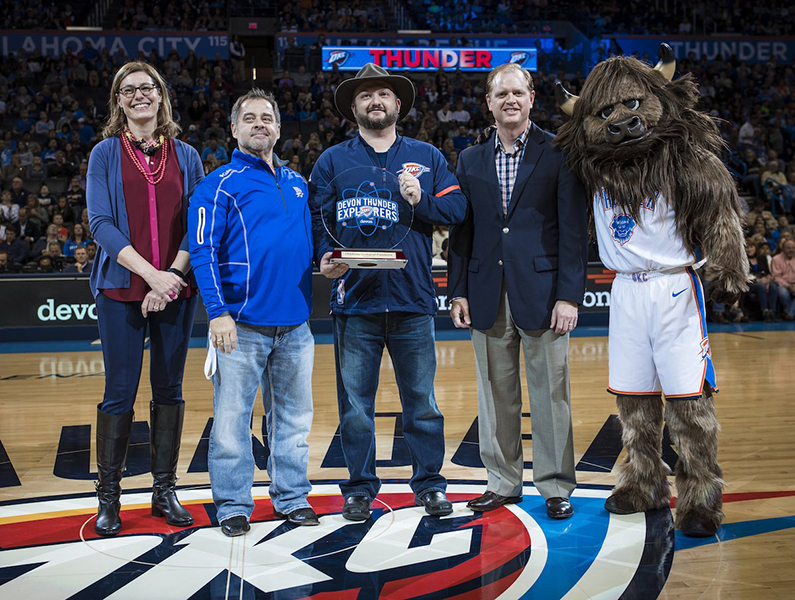 Devin and his fellow OGF board member Jason Hamilton were on the court after the first quarter to receive the honor. 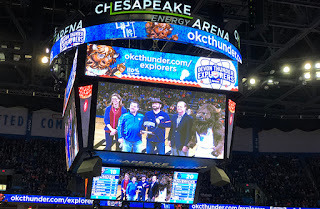 They were joined by Christine Berney from the Thunder, Jeremy Humphers from Devon Energy and, of course, Rumble the Bison to raise awareness for the need to get kids excited about science, technology, engineering and math. The rock kits are donated to Oklahoma schools and are frequently on display at events like this so keep your eyes open and maybe it you'll get a chance to see, touch and even taste the rocks!